"We're feeding about 5,000 people a week. 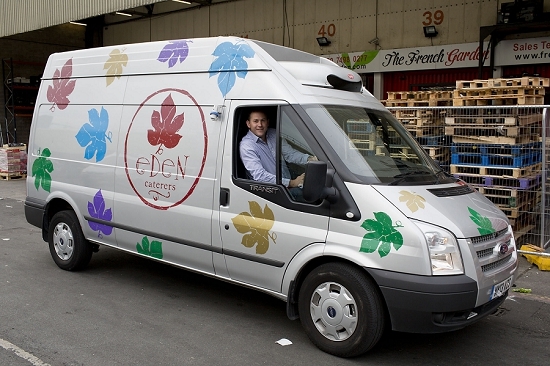 About 3,000 canapés are going out today," explains Jeremy Redgewell from Eden Caterers, as he loads up their van. Jeremy works as Director of Operations for the company, established in 1993 and based in Waterloo. 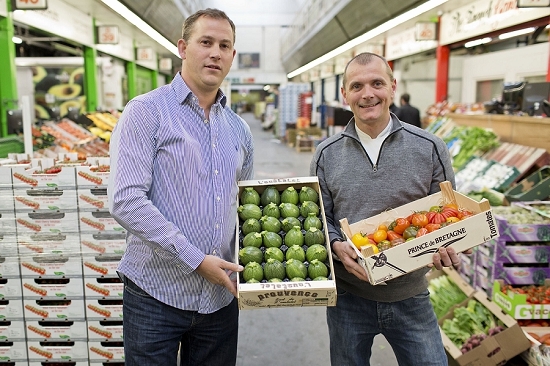 For many years, Eden bought their fresh produce from a greengrocer. 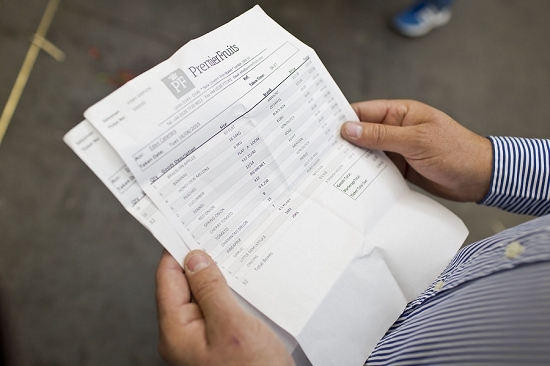 But buying direct from the Market has helped them to be far more flexible with their customers. 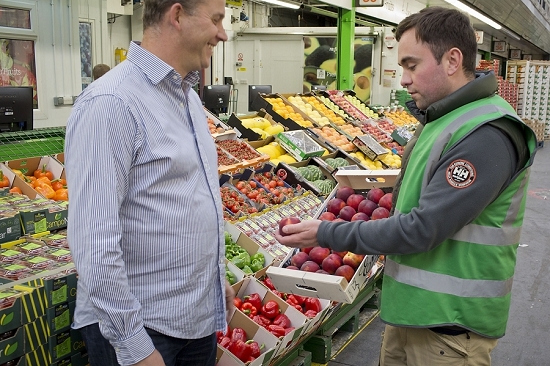 "To start with we came for a better deal … and that just opened lots of new doors for us with fresh produce," explains Jeremy. Previously, they had to place any orders by 3pm. 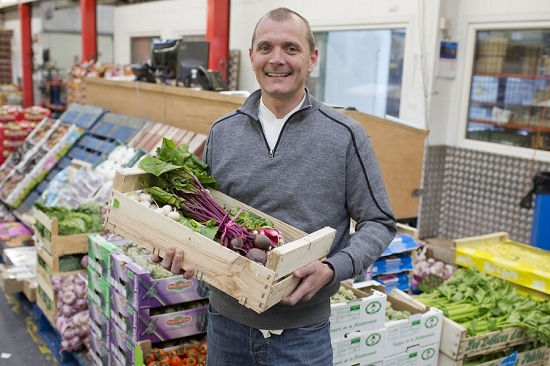 Now Eden can extend their deadlines for their customers: "We can turn up here and if we need another ten boxes of strawberries it's no problem." On the day we meet, Jeremy is on Buyers' Walk with Adrian Collischon (pictured right), Chef Director at Eden. 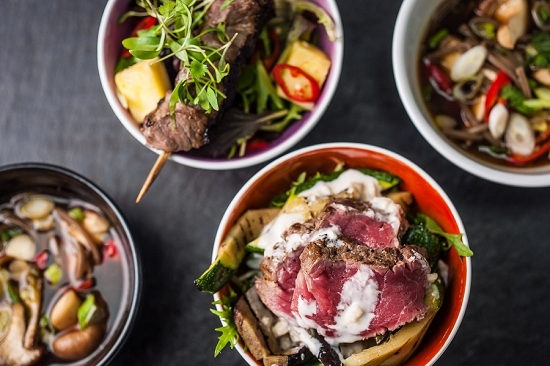 Adrian joined the business to lead their bespoke fine dining service, which joins Eden Events and Eden Express, a quick delivery service with online orders of breakfasts, working lunches, bowl food, salads and afternoon teas. Adrian believes that visiting the Market has helped him to be more creative as a chef. He's ordering more seasonally, including "a lot of different varieties you might forget about." Jeremy agrees: "Before we were ordering what we knew." They buy mostly from Premier Fruits and The French Garden, emailing or faxing their orders ahead so that the produce is packed and ready to load straight onto the van. 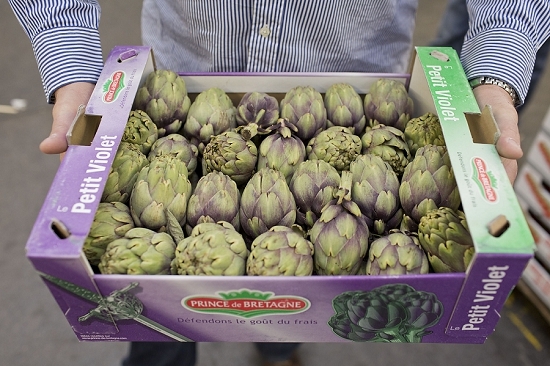 "I find French Garden is always really good quality," says Jeremy. "Premier for me is a one stop shop." Both are proud of the food and service offered by Eden. "We do everything ourselves except for the bread," says Jeremy, as he sets off back to Waterloo ahead of the rush hour traffic.